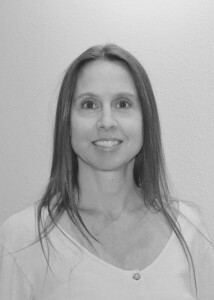 Jennifer “Jayanti” Atkins is a skilled and experienced instructor with over 19 years of experience. She teaches traditional yoga and meditation classes, as well as therapeutic and adaptive yoga for special populations. Originally certified at the renowned Kripalu Center for Yoga & Health in 1999, she then went on to live and study yoga, meditation and Ayurveda at the Himalayan Institute in 2000. She most recently completed her advanced teaching credentials through the Shambhava Yoga School, qualifying her as an Experienced Certified Yoga Teacher with more than 500 hours of training. Over the past 6 years, Jennifer has specialized more in the growing field of Adaptive and Therapeutic Yoga with a focus on supporting people with Parkinson’s Disease, MS and similar conditions. She provides this valuable ongoing support in class and private settings. A very intuitive instructor, Jennifer teaches holistic classes ranging from gently therapeutic to advanced levels of practice in both group settings and private instruction.